Today Apple announced its new OS X update, Yosemite, to be released this fall. They have also offered free access to the beta version, which is available not only to developers but also to others. Check out more about Yosemite at the Apple site here, from which the above screen capture comes. The full press release is here. To join the OS X Beta Program, just sign up using your Apple ID. 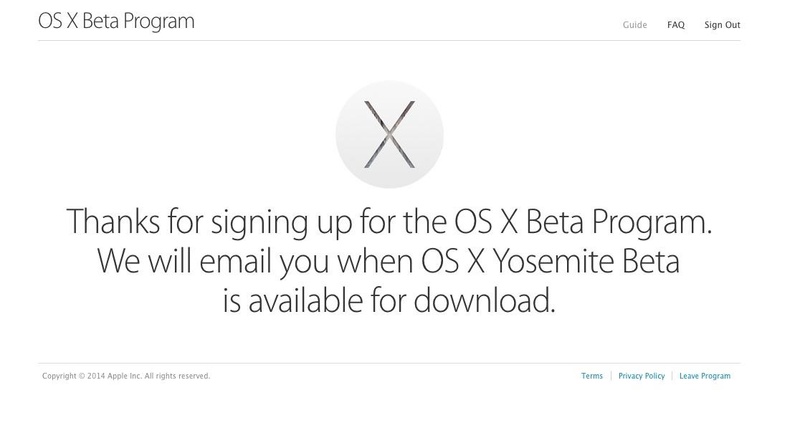 When the beta software is ready, you’ll receive a redemption code that will allow you to download and install OS X Yosemite Beta from the Mac App Store. Then go ahead and start using it. When you come across an issue that needs addressing, report it directly to Apple with the built-in Feedback Assistant application.